Draft: 2011, Oakland Athletics, 7th rd. Blake M. Treinen was originally signed by A's scout Kevin Mello…he and his wife, Kati, have one daughter, Addison…pitched collegiately as a walk-on and graduated from South Dakota State University…went 10-4 with a 4.46 ERA in 25 career starts spanning two seasons (2010-11) for the Jackrabbits…struck out 9.4 batters per 9.0 innings at SDSU…before his arrival in Brookings, SD, studied at the University of Arkansas and Baker (KS) University…was member of Baker's JV squad…attempted to try out at Arkansas, but school did not have a program for walk-ons…was forced to sit out 2009 campaign while transferring from Arkansas to South Dakota State…graduated from Osage City (KS) High School …during 2016 Spring Training, garnered attention as the subject of a clue on "Jeopardy," The Nationals' Blake Treinen hit 100 miles per hour with this type of pitch that gets its name from its downward motion (answer: "What is a sinker?"). Went 9-2 with a career-high 38 saves, a career-low 0.78 ERA and a career-high 100 strikeouts to become the first pitcher in Major League history to save 30 games, compile an ERA under 1.00 and strikeout 100 batters…the ERA was the lowest in Major League history among pitchers with 80 or more innings since the earned run became an official stat (1912 in NL, 1913 in AL)…it was the lowest in 2018 among pitchers with 17 or more innings…was named Major League Relief Pitcher of the Year by Baseball Digest and was named as the reliever on the Baseball America All-Star Team…his 38 saves ranked third in the American League, tied for fourth in the majors and tied for seventh in Oakland history…had five blown saves and his save percentage of 88.4% was seventh best in the AL and 10th best in Oakland history…the A's came back to win in two of the five games in which he blew the save and had a 61-7 (.897) record in games he pitched…ranked fifth among AL relievers in strikeouts and is the seventh reliever in Oakland history to strike out 100 batters, the first since Michael Wuertz had 102 in 2009…tied for second on the A's pitching staff in strikeouts…had the lowest opponents on-base percentage (.217) and OPS (.417) among AL relievers, ranked second in slugging (.199) and fourth in batting (.158)…the batting average, slugging percentage and OPS were third lowest in Oakland history by a reliever and the on-base percentage ranked fourth…all four marks were career lows…was named to his first All-Star Game…his nine wins were a career-high and ranked second on the Oakland pitching staff…they ranked second among AL relievers and tied for seventh in Oakland history by a reliever…led AL relievers in winning percentage (.818) and was fifth with a careerhigh 80.1 innings pitched…surrendered just two home runs for an average of 0.22 per nine innings, which was fourth lowest in the AL …first batters faced were 7-for-64 (.109) with four walks (.162 on-base percentage) and one double (.125 slugging percentage)…tied for the lowest opponents slugging percentage in the AL and ranked second in batting, on-base percentage and OPS (.287)…since 1974, the batting average and slugging percentage were third lowest by an Oakland reliever, the OPS ranked fourth and the on-base percentage was fifth…allowed 6-of 19 (31.6%) inherited runners to score…his opponents batting average broke down to .124 (18-for-145) against right-handed hitters compared to .192 (28-for-146) against left-handers…based on a minimum of 150 batters faced, his mark against righties is the lowest in Oakland history…now has a .205 (142-for-694) career average against righties, .275 (154-for-560) against lefties…has surrendered 13 of his 18 career home runs to lefties for a .402 slugging percentage…has a .256 slugging percentage against righties…opponents were 7-for-69 (.101) with runners in scoring position, which was the lowest in Oakland history among pitchers with at least 80 innings pitched…yielded a .100 average with two strikes…had a 0.94 ERA and .174 opponents batting average in 40 games before the All-Star Break…improved in post-break play as he logged a 0.56 ERA and .133 opponents average in 28 games after the break…was 6-0 with a 0.63 ERA in 34 games at home and was 18-for-20 (90.0%) in saves…did not allow a home run in 43.0 innings…is now 9-3 with a 1.55 ERA (11 er in 63.2 ip) and has converted 24-of-26 (92.3%) save opportunities in 52 career appearances in the Coliseum…went 4-0 with a 0.52 ERA in 27 days games and did not allow a home run in 34.1 innings…had a 2.35 ERA in the seventh and eighth innings, a 0.62 ERA from the ninth inning on…converted all nine of his save opportunities against AL East teams and had a 0.57 ERA in 14 games…was 5-for-5 in saves against Texas and is a perfect 11-for-11 with a 1.00 ERA (2 er in 18.0 ip) in 17 career appearances against the Rangers…averaged the fifth fewest pitches per inning among AL relievers (14.4)…opponents were successful in all seven of their stolen base attempts with him on the mound…tossed at least one inning in 64 of his 68 appearances, did not surrender a run 59 times and did not allow a batter to reach base safely 28 times. OAKLAND: Tossed 1.2 scoreless innings April 2 against Texas for his first save of the season…it was his first of eight saves of more than three outs (five four-out, two five-out, one six-out)…allowed his first home run of the season April 6 at Los Angeles (AL), a three-run shot to Upton in the seventh inning for the blown save…would not allow another home run until Aug. 23 at Minnesota (Kepler) for a career-high 49-game, 58.0-inning, 233-batters faced homerless streak…tossed a season-high 3.0 innings in the A's 12-11, 14-inning win over Chicago (AL) on April 18…allowed a run in the top of the ninth for the blown save but then pitched a scoreless 10th and 11th inning… compiled a 1.80 ERA in April and was 1-1 with three saves and two blown saves…the ERA was his highest single-month ERA of 2018…then converted 20 consecutive save opportunities from May 4 to July 9, which was the seventh longest consecutive save streak in Oakland history…allowed just two runs over that 28-game stretch for a 0.57 ERA…opponents went 14-for-108 (.130) and he struck out 39 batters in 31.2 innings…allowed just one run over a 22-game stretch from May 18 to July 9 for a 0.36 ERA…had scoreless streaks of 10.2 innings from May 18 to June 10 and 13.2 innings from June 17 to July 9…retired 20 consecutive batters from May 24 to June 10…was named American League Reliever of the Month for May…converted all 10 of his save opportunities and logged a 0.59 ERA and .151 opponents batting average…the 10 saves tied Dennis Eckersley's A's record for saves in the month of May, set in 1992…followed that up by going 2-0 with a 0.68 ERA and .111 opponents batting average in 11 games in June…was 8-for-8 in saves…was named to his first AL All-Star team and retired the side in order in the sixth inning with the AL leading 2-1 in the July 17 All-Star Game at Washington (Votto fly out, Yelich ground out, Blackmon fly out)… had his streak of 20 consecutive saves end July 10 at Houston when he allowed two runs in the bottom of the 11th inning of the A's 6-5 loss…had another blown save July 21 against San Francisco in a game the A's came back to win 4-3 in 11 innings…then went 4-0 and converted all 13 of his saves over his next 25 games from July 24 to Sept. 24…did not allow a run in 24 of those contests for a 0.32 ERA…held opponents to a .116 batting average…retired 21 consecutive batters from Aug. 23 to Sept. 3…did not allow a hit over an 11-game stretch from Aug. 25 to Sept. 21 for a 13.1-inning hitless streak…that was the second longest hitless streak in Oakland history to Sean Manaea's 14.0-inning streak earlier in the season from April 15-27…had a 15.1-inning scoreless streak from Aug. 25 to Sept. 24, which fell 1.0 inning short of his career high…opponents went 1-for-47 (.021) with a walk and hit by pitch (.061 on-base percentage) during the streak…posted a 0.69 ERA and .170 opponents batting average in 12 games in August and converted all seven of his save opportunities…was credited with the win in three straight appearances on Sept. 14 at Tampa Bay and Sept. 21 and 22 against Minnesota…had his scoreless streak and consecutive saves streak end Sept. 25 at Seattle when he allowed an unearned run in the ninth inning for the blown save in a 10-8 A's loss in 11 innings…it was the first time all year the A's lost a game when leading after seven innings…finished the season with a 17.1-inning streak without allowing an earned run…did not allow an earned run in 11 outings in September (13.1 ip) and was 3-0 with four saves and a blown save to earn AL Reliever of the Month honors for the second time in 2018…entered the game in the sixth inning in the Wild Card game at New York on Oct. 3 and allowed his only inherited runner to score plus three runs of his own in 2.0 innings of relief…it was the only time in 2018 he allowed more than one earned run in a game and his 42 pitches were his most in a game since he tossed 44 in 3.0 innings of relief April 18 against Chicago (AL)… it was the first time he entered the game prior to the eighth inning since coming in with two outs in the seventh on April 6 at Los Angeles (AL) and the first time he entered the game in the sixth inning since July 22, 2017. 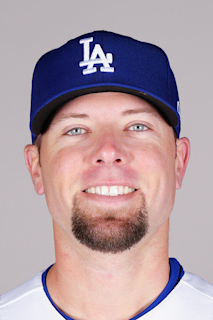 Was acquired from Washington in the Sean Doolittle/Ryan Madson trade on July 16 and ended up saving 13 games for the A's…went 3-4 with a 2.13 ERA in 35 appearances with Oakland and his ERA was third lowest in the American League among pitchers with more than 35 innings from July 17 through the end of the season…was 0-2 with three saves and a 5.73 ERA in 37 games with the Nationals and combined for a 3-6 record, a career-high 16 saves and a 3.93 ERA overall…also had career highs in innings pitched (75.2), strikeouts (74), losses, hits (80), runs (35), earned runs (33), home runs (6), hit batters (5), ERA, opponents slugging percentage (.397) and OPS (.736)… matched his high in wild pitches (4)…converted 16-of-21 (76.2%) save opportunities, which was the fifth lowest save percentage in the majors…tied for third among Major League relievers in grounded into double plays (12)…has 43 opponents GIDP over the last three years, which are nine more than any other ML reliever…surrendered the second most hits among ML relievers, tied for sixth in losses and lowest winning percentage (.333) and was seventh in most opponents RBI (46)…allowed 16-of-36 (44.4%) inherited runners to score, which was eighth highest in the majors…that included 8-of-18 with both the A's and Nationals…yielded a .274 opponents batting average, including .252 (41-for-163) against right-handed hitters and .302 (39-for-129) against left-handers…surrendered five of his six home runs to lefties for a .488 slugging percentage (.325 against righties)…has allowed 12 of his 16 career home runs to lefties…11 of his 12 GIDP in 2017 were against righties…opponents hit .325 with runners in scoring position, including .394 with RISP and two outs and .417 with the bases loaded…now has a .405 (17-for-42) career opponents average with the bases full…first batters faced hit .309 and his 13 first batter RBI tied for fifth most in the majors…compiled a 2.97 ERA in the ninth inning, a 4.81 ERA in all other innings…had a 2.70 ERA in 21 games on no days rest, a 9.00 ERA in 17 games on one day of rest and a 2.15 ERA in 34 games on two days rest or more…logged a 3.50 ERA at night, 4.60 during the day…now has a 2.84 ERA (56 er in 177.1 ip) in his career at night, 3.98 (37 er in 83.2 ip) during the day. MAJORS: Pitched in each of the Nationals first four games and had three saves, a blown save and an 8.10 ERA over that span…those were his only saves of the season with Washington…allowed a season-high three runs on a season-high six hits in 0.1 innings April 24 at Colorado…posted a 9.00 ERA and .370 opponents batting average while issuing eight walks in 10.0 innings over 12 appearances in April…tossed a season-high 2.0 innings May 2 against Arizona, his first of seven games of two or more innings…had a 9.22 ERA over his first 15 games through May 7…then compiled a 2.84 ERA over his next 11 outings from May 8 to June 9…allowed all five of his inherited runners to score over a two-game stretch from June 11-14…matched his season high by allowing three runs June 29 against Chicago (NL)…did not allow a run in his final three games with the Nationals…was traded to Oakland July 16 with minor leaguers Sheldon Neuse and Jesus Luzardo for Sean Doolittle and Ryan Madson…yielded just one earned run in his first nine appearances with Oakland for a 0.77 ERA in 12 games in July…was credited with his first save as an Athletic July 31 against San Francisco when he tossed a scoreless ninth inning in the A's 8-5 win…his 13 saves from July 31 through the end of the season tied for third most in the American League over that span…was charged with his fifth and final blown save of the season Aug. 4 at Los Angeles (AL) when he inherited a bases loaded situation in the seventh inning and allowed all three runners to score…picked up the save two days later against the Angels to start a season-ending streak where he converted each of his 12 saves over his final 24 games…had a 2.36 ERA and .235 opponents batting average over that stretch…walked three batters in 1.0 hitless innings Aug. 8 against Seattle, matching his most walks ever as a reliever…made the 200th appearance of his career Aug. 15 against Kansas City and picked up his first win as Athletic, despite allowing two runs in 1.2 innings…also allowed two home runs in a game for the only time in his career in that contest…had a season-high three strikeouts against the Royals, a figure he would match Aug. 20 at Houston and Sept. 4 vs. Los Angeles (AL)…was charged with the loss in three consecutive appearances from Sept. 2-5, to become the first A's reliever with a loss in three consecutive games since Brian Fuentes set the Oakland record with a four-game streak from May 18-23, 2011…the streak was part of a career-high four-game losing streak from Aug. 16-Sept. 5…did not allow a run over his final 10 games beginning Sept. 10 for a season-high 9.1 inning scoreless streak (8 h, 4 bb, 11 so)…had surgery to remove a cyst on his right middle finger Oct. 6…the surgery was performed by Dr. McPherson Beall in Portland, Ore. Established himself as one of the top relievers in Major League Baseball, appearing in a career-high 73 games...Ranked among National League relievers in ERA (8th, 2.28), holds (12th, 22) and games played (T12th, 73)...Led NL relievers (third in MLB) in ground ball percentage (66.5%)... Induced 17 double plays, the most among MLB relievers...Appeared in a career-high 73 games while allowing a career-low 51 hits...Recorded a 0.68 ERA (1 ER/13.1 IP) with 14 strikeouts, four walks, 10 hits and seven holds in his final 15 games of the regular season...Posted a 1.89 ERA (7 ER/33.1 IP) in 37 road contests...Tossed 16.1 consecutive scoreless innings from May 15 to June 24 (.185 avg against, 16 SO, 10 H)...Recorded his first career save, June 27 at CLE (0.2 IP)...Made his first appearance in the Postseason...Earned the win in Game 2 of the NLDS (1.1 IP, 2 SO). Made his first Opening Day roster...Transitioned to the relief role...Induced ground balls at a rate of 63.8 percent (fifth in NL) and ranked 11th in MLB fastball velocity (96.4 MPH) in 2015...Held right-handed batters to a .187 / .276 / .216 line while surrendering just two extra base hits (2B, HR) in 134 at bats...Allowed fewer hits per nine innings in 2015 (8.25) than in 2014 (10.13)...Also improved strikeouts per nine innings in 2015 (8.65) as compared to 2014 (5.33)...Was optioned to Triple-A Syracuse on July 20 and recalled on Aug. 6...Struck out 14 in 12.0 scoreless innings of relief spanning five AAA games...Upon return, offered scoreless relief in next 12 games (13.0 IP)...Struck out 12, walked two and posted a 0.69 WHIP over that stretch. Combined on a 3.47 ERA and a in 23 games/22 starts for Harrisburg of the Double-A Eastern League and Auburn of the Short-season Single-A New York-Penn League in 3rd professional season...fanned a career-high 93 in 124.2 innings... was touched for only 9 home runs in 124.2 innings. Began conversion to starting role, going 6-6 with a 4.70 ERA in 15 starts for Stockton of the Single-A California League...struck out a career-best 10 on June 12 vs. Bakersfield...posted a 2.08 ERA in 9 relief appearances, fanning 14 in 13.0 innings out of the bullpen...registered a gaudy 4.0/1 strikeout-to-walk ratio (92 SO, 23 BB). Posted a win, 2 saves, a 3.67 ERA and allowed only one homer in 30.0-inning pro debut with the Burlington of the Single-A Midwest League and the Athletics' Rookie-level Arizona Summer League entry. August 6, 2015 Washington Nationals recalled RHP Blake Treinen from Syracuse Chiefs. July 20, 2015 Washington Nationals optioned RHP Blake Treinen to Syracuse Chiefs. October 13, 2014 Blake Treinen roster status changed by Washington Nationals. October 3, 2014 Washington Nationals reassigned RHP Blake Treinen to the minor leagues. September 1, 2014 Washington Nationals recalled RHP Blake Treinen from Syracuse Chiefs. August 26, 2014 Syracuse Chiefs activated RHP Blake Treinen from the 7-day disabled list. August 18, 2014 Syracuse Chiefs placed RHP Blake Treinen on the 7-day disabled list. August 6, 2014 Washington Nationals optioned RHP Blake Treinen to Syracuse Chiefs. July 31, 2014 Washington Nationals recalled Blake Treinen from Syracuse Chiefs. June 29, 2014 Washington Nationals optioned RHP Blake Treinen to Syracuse Chiefs. June 28, 2014 Washington Nationals recalled Blake Treinen from Syracuse Chiefs. June 13, 2014 Washington Nationals optioned RHP Blake Treinen to Syracuse Chiefs. May 22, 2014 Washington Nationals recalled Blake Treinen from Syracuse Chiefs. May 7, 2014 Washington Nationals optioned RHP Blake Treinen to Syracuse Chiefs. May 6, 2014 Washington Nationals recalled Blake Treinen from Syracuse Chiefs. April 18, 2014 Washington Nationals optioned RHP Blake Treinen to Syracuse Chiefs. April 12, 2014 Washington Nationals selected the contract of Blake Treinen from Syracuse Chiefs. January 24, 2014 Washington Nationals invited non-roster RHP Blake Treinen to spring training. August 27, 2013 Harrisburg Senators activated RHP Blake Treinen from the 7-day disabled list. August 14, 2013 Harrisburg Senators sent RHP Blake Treinen on a rehab assignment to Auburn Doubledays. July 15, 2013 Blake Treinen roster status changed by Harrisburg Senators. July 12, 2013 Blake Treinen roster status changed by Harrisburg Senators. January 17, 2013 RHP Blake Treinen assigned to Harrisburg Senators. January 17, 2013 Harrisburg Senators placed RHP Blake Treinen on the 7-day disabled list. January 16, 2013 RHP Blake Treinen roster status changed by Stockton Ports. August 9, 2012 Stockton Ports activated RHP Blake Treinen from the 7-day disabled list. July 5, 2012 Stockton Ports placed RHP Blake Treinen on the 7-day disabled list retroactive to June 27, 2012. March 5, 2012 RHP Blake Treinen assigned to Oakland Athletics. September 14, 2011 Blake Treinen assigned to Stockton Ports from Burlington Bees. July 2, 2011 Blake Treinen assigned to Burlington Bees from AZL Athletics. June 26, 2011 Blake Treinen assigned to AZL Athletics from Oakland Athletics. June 14, 2011 Oakland Athletics signed Blake Treinen.